The Children’s Inn at NIH is excited to be a charity partner for the Marine Corps Marathon (MCM) and 10K. When you choose our #RunINN4Kids race team, you are raising much-needed funds to provide a free “place like home,” where seriously ill children stay with their families while they are undergoing treatment at the National Institutes of Health (NIH). Moreover, each dollar raised from Team #RunINN4Kids fuels access to the research that makes childhood possible for the more than 15,000 children and their families, traveling from all 50 states and 94 different countries, who have stayed at The Inn. The Inn provides not only free lodging, but also meals, more than 1,400 hours of educational, recreational and therapeutic programming each year—things like homework help, field trips to the monuments in DC and even summer camp for children that could never otherwise attend—all while enabling families to develop friendships and learn from others who know what it’s like to seek the promise of hope or a cure for a seriously ill child. The money raised by #RunINN4Kids makes childhood possible for the children who stay at The Inn and for children worldwide that benefit from the research happening at NIH. How do I get started for the 2019 #RunINN4Kids Marine Corps Marathon Race Slot? $50 running fee paid to The Children’s Inn at NIH, which will go towards your fundraising goal. This is a tax-deductible contribution. Raise an additional $550 (before the August 1 deadline) to complete the fundraising requirement and track your progress on Crowdrise. 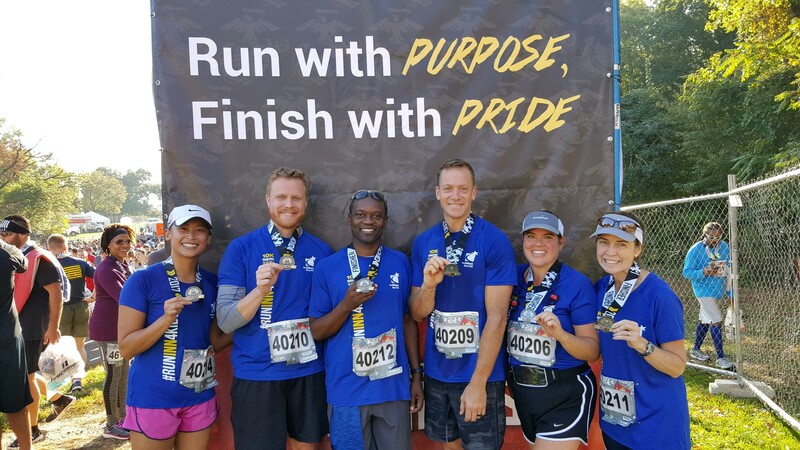 After your fundraising requirement is raised, pay your $170 registration fee + $6.38 processing fee paid directly to the Marine Corps Marathon (The Inn will provide you with a registration link and code). How do I get started for the 2019 #RunINN4Kids MCM 10K Race Slot? $25 running fee paid to The Children’s Inn at NIH, which will go towards your fundraising goal. This is a tax-deductible contribution. Raise an additional $575 (before the August 1 deadline) to complete the fundraising requirement and track your progress on Crowdrise. After your fundraising requirement is raised, pay your $60 registration fee + $4.80 processing fee paid directly to the Marine Corps Marathon (The Inn will provide you with a registration link and code). Interested in joining our team? Download our runner’s toolkit for fundraising tips, sample messaging, and more. Learn more about the families your donations are supporting. Meet Paige. For questions about how you can get involved with Team #RunINN4Kids, contact Lindsey Perreault at [email protected].